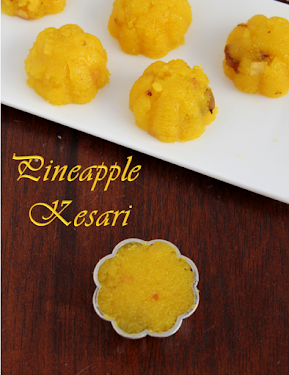 Puli Pongal is very traditional recipe that my grand mom taught me. when my mom used to make it at home my mother used to make it really spicy and with a lot of gingelly oil to compensate the spice.It has become my favourite and my make it all dinner parrties at home.since it is very rare people generally like it.I like anything tangy so this is one of my favourites. 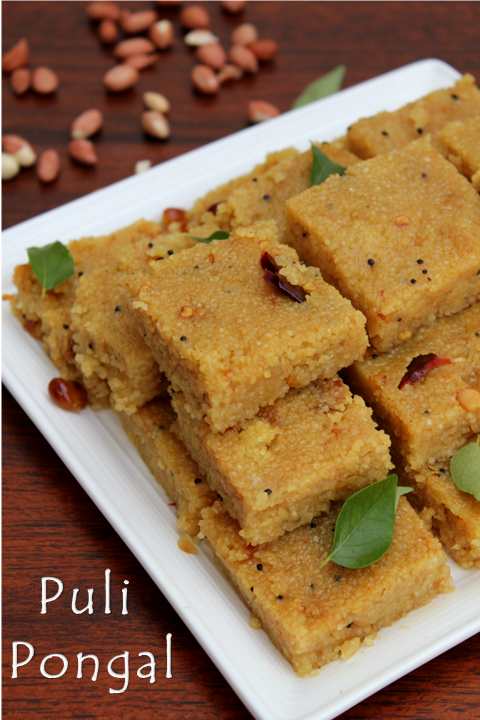 Lot.Lot of my friends used to ask me if it was upma with puli !!!!?? Puli menas 'Tamarind' and Pongal is mashed up rice.So it is made with broken raw rice.Those days they used to pound the rice at home but now a days you get it readmade at the stores which is quiet good. 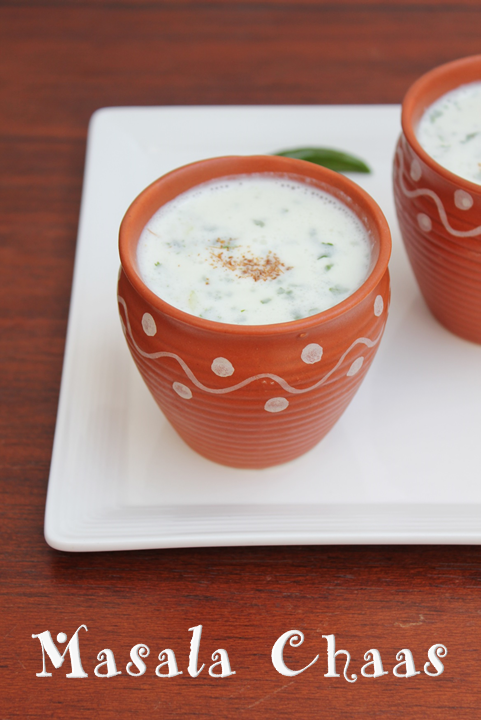 Spicy Buttermilk is made in different ways in different parts of India.In south India especially in Tamilnadu we churn it with some chillies,curry leaves,coriander leaves,asafoetida and salt.It is made slightly different way in North India with black salt,cumin powder etc.I have tasted this in Rajdhani restaurant along with the meal.Being summer i thought let me try it at home today.It is a real welcome drink for the summer!!!!!!!!! 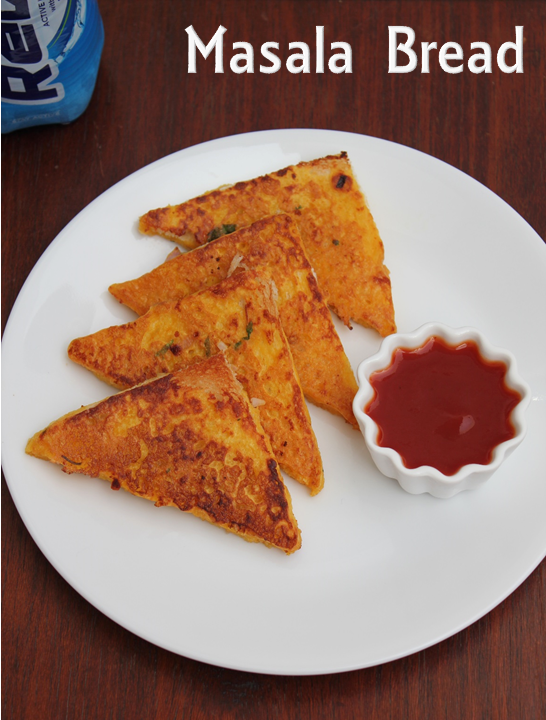 I am posting some easy and quick recipes for the summer.It gets very hot in the evenings to go in to the kitchen and cook.I have seen this recipe but have not tried it before.I saw Venkatesh Bhat making Masala Toast with egg.He also mentioned the way to make without egg so i just followed the one without egg and made it.It is really simple and easy and a quick fix for anytime snack.HonestlyIt is a real treat to those who eat egg!! !you can even sprinkle some cheese on top!!!!! 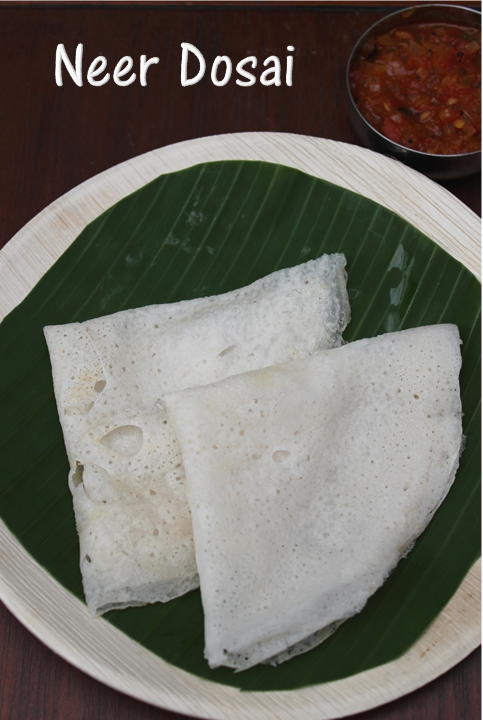 I have not heard of Neer Dosai until recently.I have not tasted it in any restaurant or elsewhere.I tried it myself watching the recipe.Neer Dosai means Water Dosai it means that the batter is so watery that the dosas are really thin and lacy. 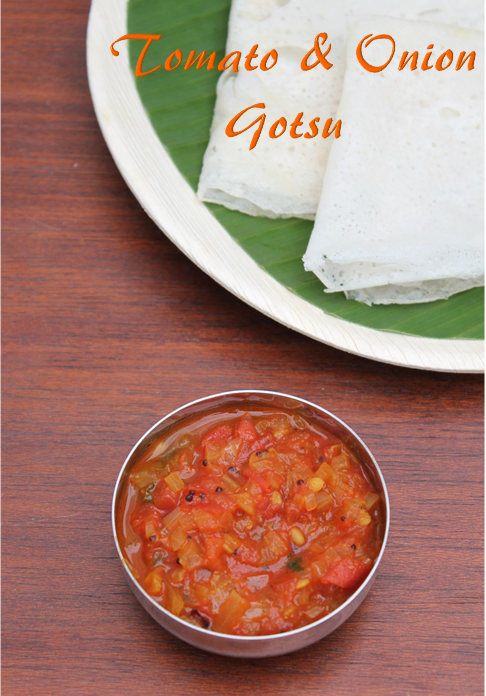 It is very popular in Karnataka and more in Manglore.It is easy to prepare and does not need any fermentation.I tried it and it tastes good and flavourful and goes well with sambar,chutney or onion and tomato gotsu. There are so many different types of chutneys and gravies you can make with these two vegetables(Tomato and Onion).The combination is so tasty that it goes well with all the south and North Indian breads and Rice as well.These are the basic ingredients for making most of the north Indian gravies.However coming to this simple gotsu it is a perfect accompaniment for idlis and Dosas and it is very popular in Karnataka as an accompaniment for Neer Dosai.I watch this cookery show by venkatesh Bhat and he was making these two dishes and i thought of recording and blogging them. 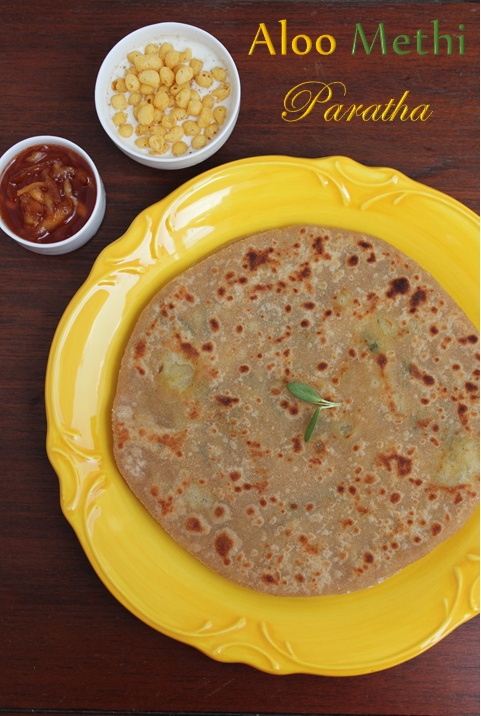 Aloo Methi Paratha a little healthier version of the Aloo Paratha.I have tasted this Aloo Methi Paratha in Creme Centre Restaurant.It was very tasty and aromatic with the Methi leaves.Whenever i order the Indian platter i would go with this one which is usually served with Dal makhni,raita and pickle.I tried to copy the same menu at home today yes i made Aloo methi paratha,Dal makhni and of course some rice to with it. 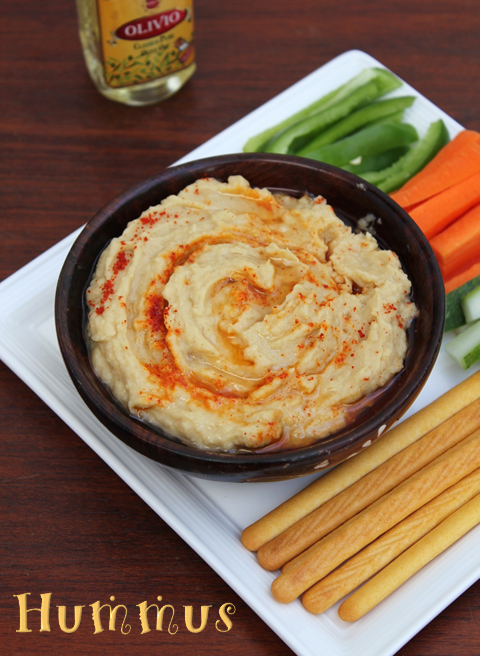 I have had this Mediterranean chickpea dip "hummus" in a few restaurants here in chennai.They serve with Pita bread and other bread varieties.It reminds me of Nan and chole.It is an intersting and tasty dip which can had with lot of things so i just tried it at home.Being summer i just served it with a lot of fresh vegetables and crackers.I would love to try the pita bread too. 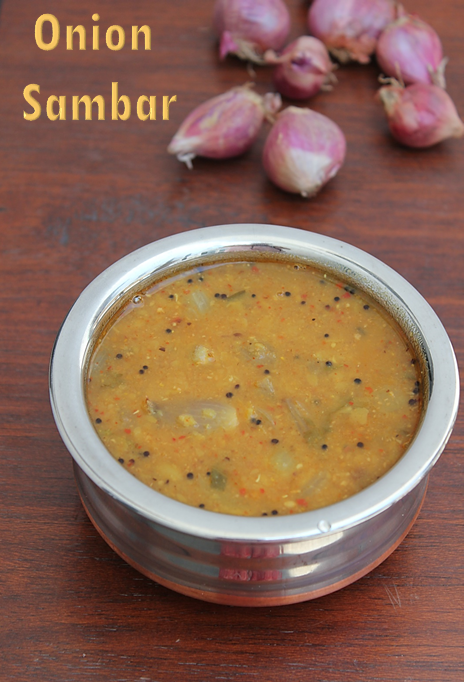 Small Onion or shallot sambar is the most favourite and popular sambar in Tamil Homes and restaurants.You can taste this sambar in any small restaurant throughout Tamilnadu.Of course it is made in so many different ways. My mother was an expert in making this sambar and all of us used to drink it along with our rice and dosas, especially Rawa Dosa.She used to make real big Rawa Dosa like in restaurants.Rawa Dosa with Vengaya sambar and coconut chutney was a heavenly combination.When we eat this sambar with Rice we usually add more vegetables like Radish,Capsicum and Drumsticks.Pan roasted baby potatoes are best combination for this sambar along with hot rice and ghee.